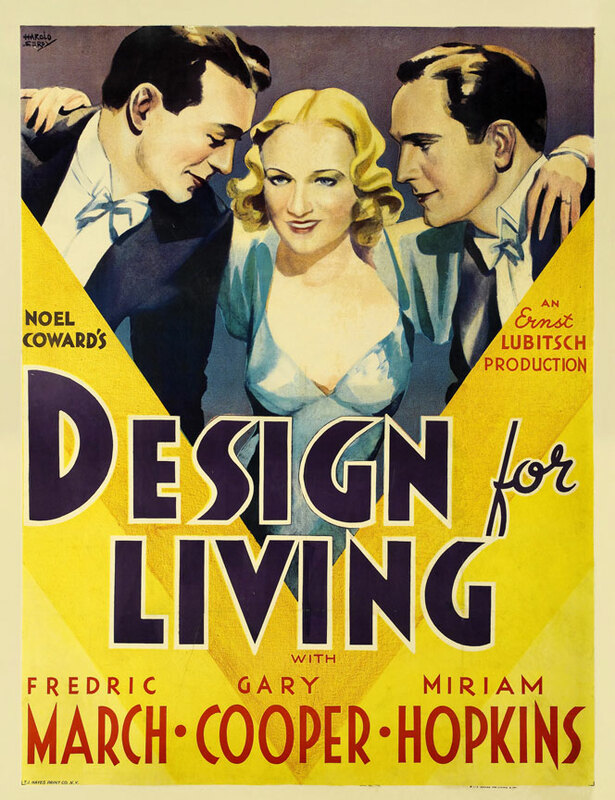 An advertising employee (Miriam Hopkins) becomes enamored with two friends — an aspiring painter (Gary Cooper) and playwright (Fredric March) — and moves in with them to become their platonic muse. When March goes to London to oversee his successful new play, Cooper and Hopkins begin an affair, bringing their friendship with March to an end; but when March comes to visit and Hopkins can’t resist intimacy with him, either, she eventually decides to save the men’s friendship by marrying her boring boss (Edward Everett Horton). This one’s worth a one-time look for its risque themes, but ultimately not an enduring classic. No, though it’s recommended for its historical relevance. Not must-see, but I can see where a certain audience may find it appealing – esp. 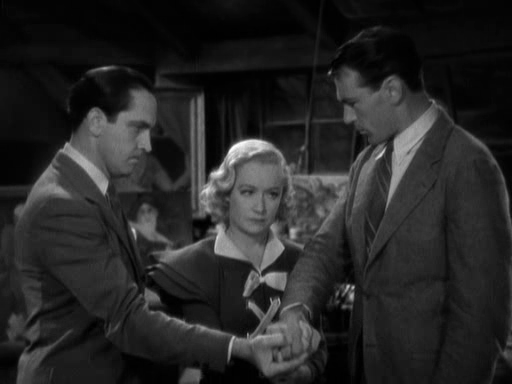 given Lubitsch’s trademark light touch. Given the script, it would be difficult for actors to rise above. Even though March and Cooper try to do reasonable jobs, it’s clear they’re fighting a bit of a battle. Hopkins (not at all a favorite of mine personally…until she calmed down late in her career and learned how to stop *ACTING*) is at least toned down somewhat, thanks to Lubitsch, I imagine. But I still find her lacking in real finesse. The one performance I do like here is given by Edward Everett Horton, who manages his usual dependable style in spite of what’s surrounding him.